I have always been fascinated with leg tattoos. When I saw the word “Selfless” on the calf of a fellow veteran, I had to inquire. What did it mean? Ronie, a contract employee at Project Sanctuary, then proudly showed me his other leg which read “Service”. Wow, this takes “walking the walk” to a whole new level! Selfless Service– that’s what volunteering is all about and my brief exchange with Ronie hit this home for me when he explained that his service to veterans and their families at retreats with Project Sanctuary is just a natural extension of his duty when he served in the US Army. This past weekend I was happy to serve others as a volunteer at a powerful retreat which helps military families reconnect. 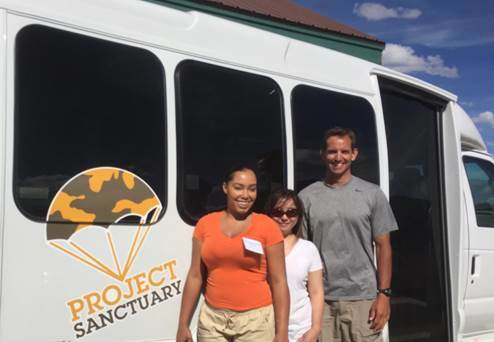 Project Sanctuary is a special organization with a spirited and dedicated staff and hundreds of volunteers. 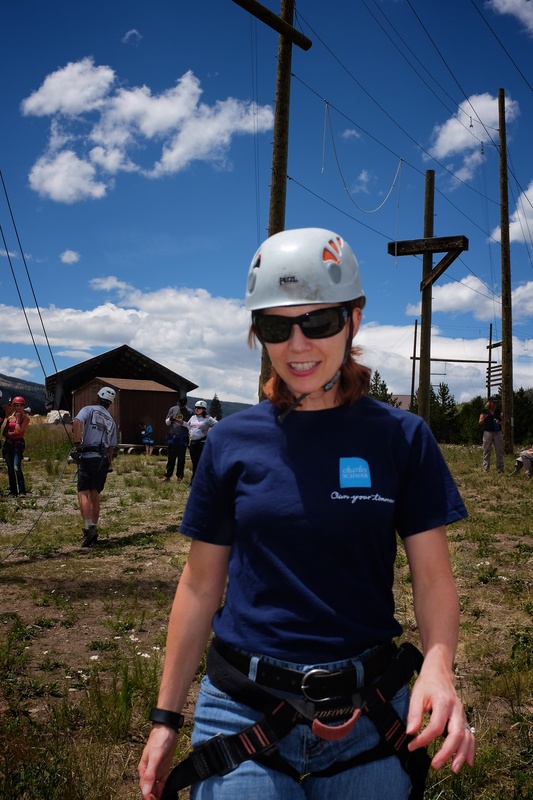 I put on my Platoon Leader/Project Manager hat for this event and coordinated the attendance of nine coworkers who assisted over the six day retreat at the YMCA Snow Mountain in Granby, CO. 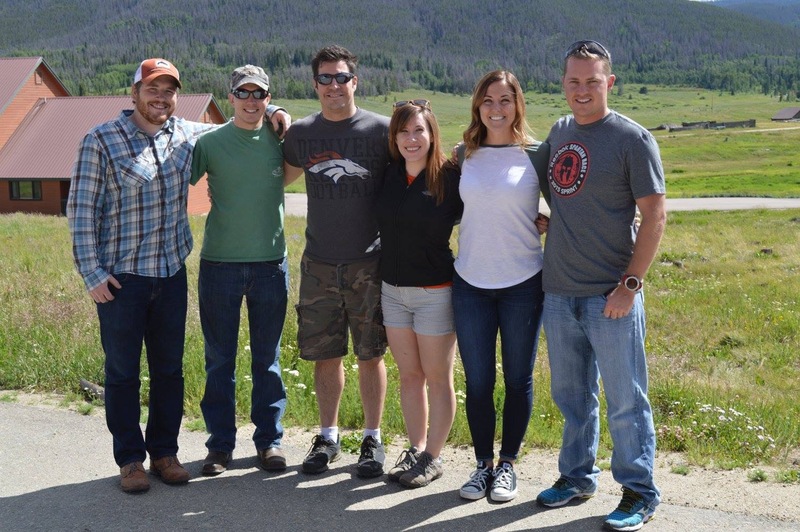 Most of us are part of a Denver Military Veterans Network group at work and are focusing our efforts on increasing awareness of veteran issues and being of service to others. Selfless service without the leg tattoos. The volunteer experience was positive and uplifting and provided us with greater insight and appreciate for the “invisible” wounds that many returning veterans suffer with PTS ( Post Traumatic Stress) and TBI ( Traumatic Brain Injury). Witnessing the power of peer mentoring, counseling and plain old fun and games in the healing of strained relationships and broken family connections was most impressive. 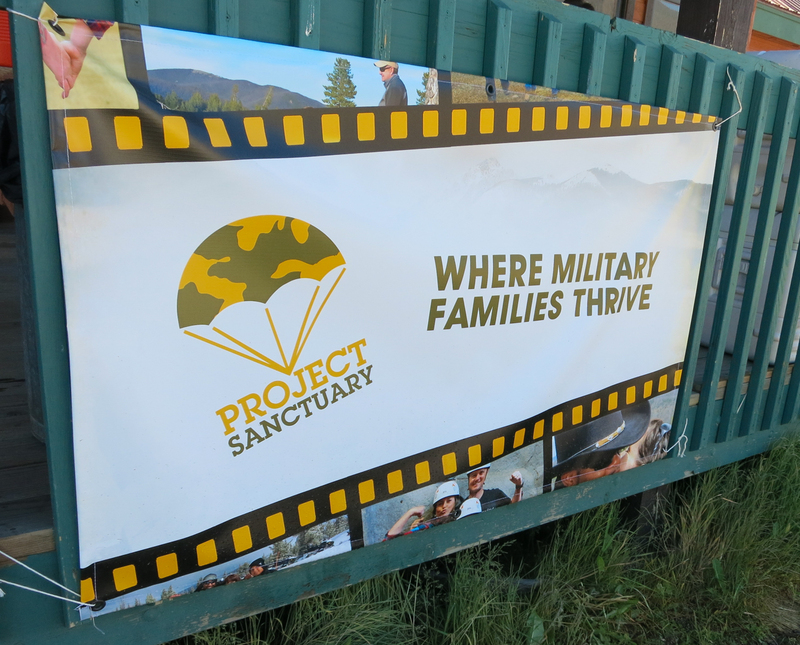 A large majority of the staff and volunteers at Project Sanctuary are prior service/military members which reinforces Ronie’s idea of continued Selfless Service. He and many others like him are Walking the Walk with Service Legs. The need is great for the programs and benefits that Project Sanctuary provides and there are more than 1,800 families on the waiting list to attend a Retreat. In 2014, 19 retreats were held and 164 new families were served. This year 21 retreats are scheduled at no cost to the veterans and their families. So let’s step up and help support more military members and their families heal and reconnect with this innovative and powerful program. To make a donation to Project Sanctuary click here.